1. Aegis BPO Malaysia Sdn Bhd - RM1,700.00 - RM2,500.00 - APPLY ONLINE ! 2. Online Components Sdn Bhd - RM1,500.00 - RM1,700.00 - APPLY ONLINE ! 3. 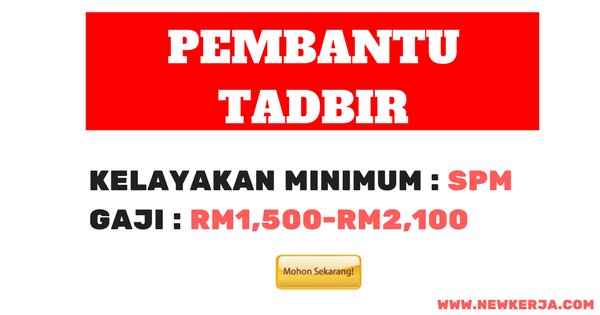 Scalepoint Deco (KL) - RM1,600.00 - RM2,500.00 - APPLY ONLINE ! 4. Greenwindows Curtain - RM1,200.00 - RM1,800.00 - APPLY ONLINE ! 5. Dream Union Sdn Bhd - RM1,800.00 - RM2,500.00 - APPLY ONLINE ! 6. Ace Sonic Communications - RM1,200.00 - RM1,500.00 - APPLY ONLINE! 7. Direct Lending Sdn Bhd - RM1,500.00 - RM3,000.00 - APPLY ONLINE ! 8. Sportivo Life Sdn Bhd - RM1,600.00 - RM1,700.00 - APPLY ONLINE ! Secara Online Di MAUKERJA.Terima Kasih kerana membaca Dan Mengisi Kekosongan jawatan Tersebut. SELAMAT MEMOHON DAN SEMOGA BERJAYA. 0 Response to "JAWATAN KOSONG TERKINI SEBAGAI PEMBANTU TADBIR -MOHON ONLINE"